88-95 Chevy/GMC 1500/2500/3500 Pick-Up, 2WD: 5.0L/5.7L, Tube Size 1.625", Collector Size 3"
FLOWTECH's Afterburner Turbo Chamber Headers represent the first new major design change in exhaust technology in decades. This designs combines the race-proven 4 into 1 design with the torque managing capabilities of a Tri-Y header. The turbo chamber helps smooth out exhaust turbulence for increased performance and a broad power curve. 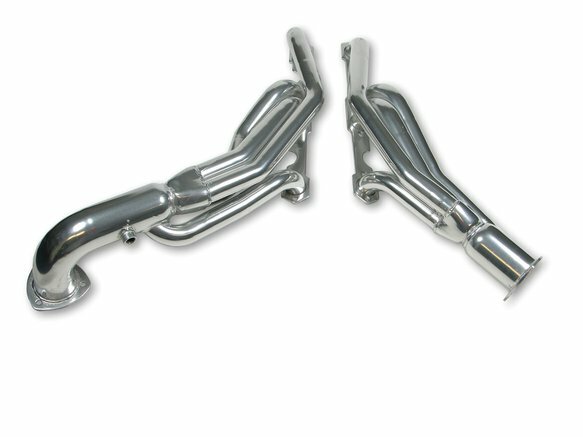 This header is coated in a metallic ceramic coating for increased exhaust velocity and lower underhood temps.